Mrs. Errante has bachelor’s degrees in Music and American Studies from the University of Richmond and a Master of Science in Counseling from Virginia Commonwealth University. 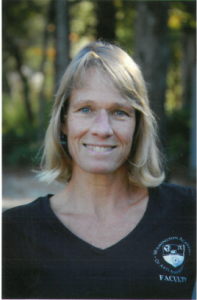 She has lived in Wilmington since 1986 and has taught at a number of area schools, worked in UNCW’s student affairs department, was coordinator for drug education/prevention programs for New Hanover County Schools and a previous director of the Wilmington Boys Choir. Ms. Errante is the founder and director of the Girls’ Choir of Wilmington and she currently owns and operates a Kindermusik studio. She has been creating and offering Explorations classes for WAAS since 2005. She lives with her husband Steven and their dog Rocky; they have two daughters, Emmy (a graphic designer and photographer) and Casey (a Master’s student at UNCW).